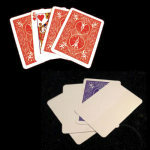 Change a packet of eight different cards to all the same card! 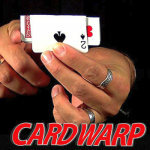 Peter Monticup created an EXTRA online video EXCLUSIVELY for our customers who purchase this Wild Cards trick! 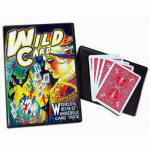 Then you introduce the "wild card", a card of a different value than the other eight. As you flip each card with the wild card, each card changes to the same value as the wild card! 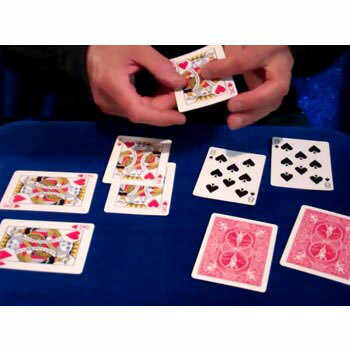 A popular packet (small pack of cards) trick by Frank Garcia. Requires knowledge of basic card sleights. BONUS: you'll also get the password to an exclusive video that will teach you Monticup's secret handling tips! See EXACTLY how to set up and handle the cards! Watch the video right from this page! 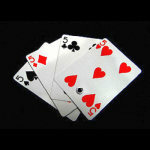 The Wild Card set that is shown in the video demo has the Four of Hearts as the starting cards and the Ace of Spades as the Wild Card. 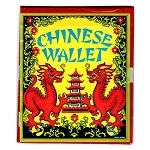 Your two cards will most likely have different faces than those, and will depend on what the manufacturer sends us. 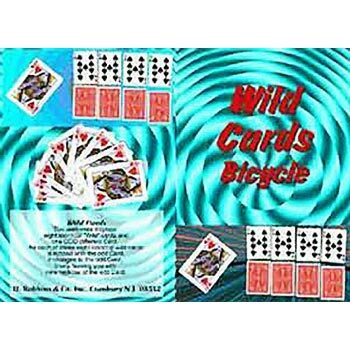 PLEASE NOTE: If you order from the Add To Cart box above on this page, you will be getting the set of Wild Cards and printed instructions. 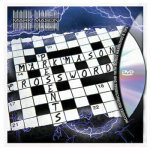 Go here if you want to order the Wild Card set with DVD instruction. 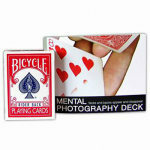 Cards are Poker size Bicycle back. The bonus video made all the difference. 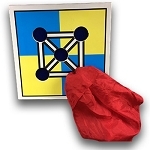 The instructions that come with the trick are okay, but watching the bonus video really made it clear what to do. 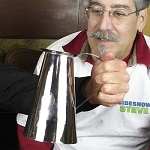 This is an awesome trick. 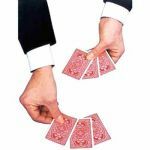 A stunning card trick that amazes the audience members more and more as the trick progresses!!! 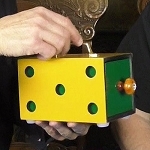 Great for close-up magic, any type of audience - kids to grandparents. 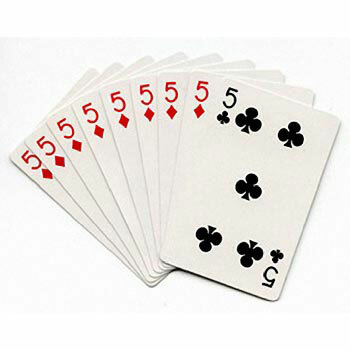 Start with a small packet of 9 cards, show the packet contains 8 identical cards, -and one wild card. Lay the identical cards out on the table, and then one by one change each and every one of the 8 identical cards into the same suite and value as the wild card!!! 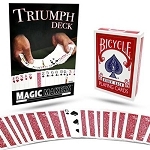 By the time you're done every card has changed into the wild card and the spectators are just completely blown away!! Comes with a video that contains several versions of the trick, but Peter's routine is my favorite. And the price!!! Come on, less than 10 dollars for a trick that will build a $10,000 dollar reputation? You can't lose, get this trick today!! !